In need of some woodwork? 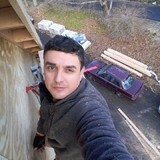 Chances are you’ll want to hire a Waterbury, CT carpenter. Carpenters work with all types of wood and can specialize in many different areas, including framing, finishing and custom-made furniture. Make sure you choose the right Waterbury carpenter for your job by asking plenty of questions, viewing their past work and reading reviews. 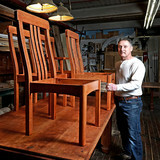 Westchester Woodworking is a family owned and operated custom cabinet shop serving the Connecticut area since 1982. We design and build cabinetry for every room in the home using the highest quality materials and construction methods. 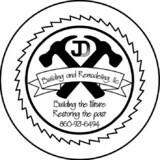 Jonathan Malouin Remodeling, LLC, specialized in custom remodeling and renovation of pre 1950s era homes. With over 20 years of experience ranging from small detailed projects to large-scale additions, the commitment to quality and excellence is emphasized throughout the building process. At Jonathan Malouin Remodeling, our philosophy is simple - regardless of the scope of the project, our goal is to make our client's building experience an enjoyable one. We encourage collaboration in all phases of the project to ensure our client's vision becomes a reality. 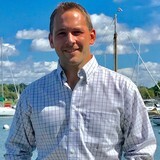 My home improvement company has been doing projects in lower Fairfield County communities like Stamford, Greenwich, New Canaan, Darien and beyond for many years. Our most recent job that we did in Fairfield, CT was a major renovation of a home that included the garage, porch, bathrooms and barn. On the same job we built custom cabinets, built-ins, a fire place surround and an pergola. We take pride in our work and pay meticulous "white-glove" attention to detail; resulting in happy customers. For example, on a recent job in Riverside, CT, we did an addition to the existing house and a basement renovation. We started from foundation through framing, and installed windows and doors, siding, exterior/interior trim, and new kitchen cabinets.